One of the best ways to prevent water damage to your home’s roof and inner walls is to keep your gutters free and clear of debris. Depending upon your home’s location to nearby vegetation and weather conditions, you may need more frequent cleaning. Let us take the worry, risk and mess out of gutter maintenance. Clean up any and all debris. Inspect all downspouts to make sure your gutter system is functioning properly. Warn you if there is a problem that may need your immediate attention. 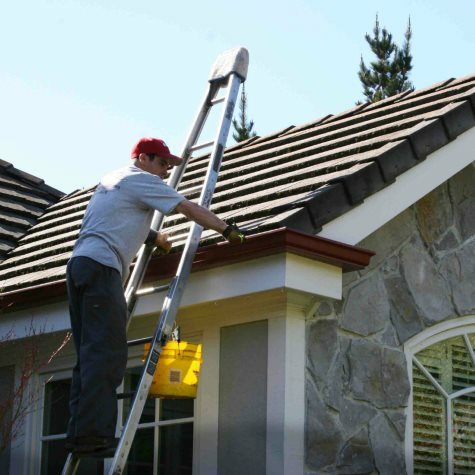 Once your gutters are cleaned, you may want to have your exterior windows cleaned as well. Ask about our special multi-service pricing as well as our regular gutter maintenance program to suit your home or building’s needs.